The American Recovery and Reinvestment Act of 2009 (“the Act”) provides federal tax credits for eligible building envelope components that improve energy efficiency. To meet the eligibility performance criteria under the Act, windows, doors and skylights must have both a U-Factor equal to or less than 0.30 and a Solar Heat Gain Coefficient (SHGC) equal to or less than 0.30. Have your windows or doors installed between January 1, 2009 and December 31, 2010. Claim the tax credit on your federal filing for the 2009 and/or 2010 tax year. A “qualifying” window or door is one that carries both a U-Factor equal to or less than 0.30 and a Solar Heat Gain Coefficient (SHGC) equal to or less than 0.30. 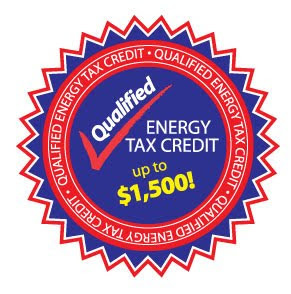 Tax credit is for the cost of the product only and does not include installation costs. Be sure to ask for a sales receipt that shows the cost of the product only. For more information, check out the ENERGY STAR guidelines at the ENERGY STAR® website. *Many Majors Home Improvement products with Low-E glass meet the performance requirements for the tax credit when used for remodeling or replacement. Please consult your tax planner and review all IRS guidelines. Majors Home Improvement is not a tax advisor. **The above is the best available information and is a partial summary of the revisions to the federal tax code (U.S. Code Title 26, Section 25C) as updated by the American Recovery and Reinvestment Act of 2009. Taxpayers should check IRS Notice 2009-53 for further details on the tax credit. Other energy efficient improvements may apply; check IRS website for more details and updates. The information discussed in this communication relates to tax credits for existing “non-business” properties (defined as the taxpayer’s principal residence in the United States.) For information about tax credits for homebuilders for new construction in 2009, please refer to the IRS Website. Majors Home Improvement bears no responsibility for validating or obtaining the tax credit and expressly disclaims any responsibility for determining whether a particular purchase or application qualifies for the tax credit. Further, Majors Home Improvement does not intend to and is not providing legal or tax advice and recommends that purchasers consult their own tax advisor or the IRS to determine whether the products they purchase for a particular application qualify for the tax credit.